Written by Tom Ewer on June 20, 2014 Blog. One of the best ways you can reduce cart abandonment is to cut back on shipping costs for your customers. Shipping can add a huge expense to a purchase – one that the customer might not have accounted for. So, the price tag on your product might have seemed like a good bargain at first but once shipping is factored in, it’s no longer within their budget. A discount on shipping or offering straight out free shipping is one of the best ways to get customers to complete the sale and to come back again to make another purchase in the future. Plus, customers are more likely to purchase more at a time when shipping is no longer an issue. 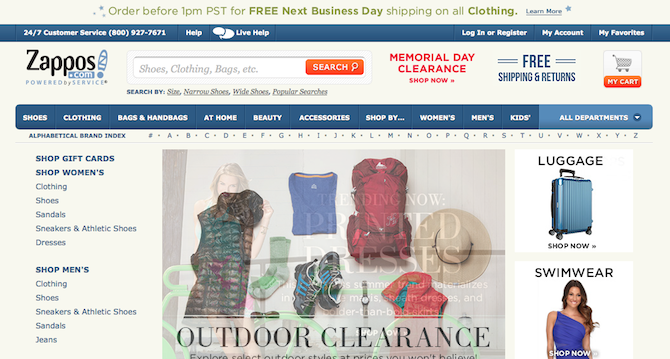 One of the very best examples of e-commerce free shipping is on Zappos. The free shipping banner across the top of the site lets customers know precisely what they’re getting into the moment they land on the site. Yes, it’s an investment on your end to pay for shipping but offering it might be a worthwhile thing to split test. If it makes a discernible difference in your conversions, it might be something worth rolling out site wide. How many times have you been trying to purchase a product online only to find yourself stuck in a lengthy checkout process? I bet, at least on some occasions, you’ve just said, “Ah, screw it,” and left the site before you could complete the transaction. Even if that’s not the norm, those are still potential conversions that fly out the window. A checkout process that is several pages long isn’t a good idea. Why? Because with each click to the next page, you give the potential customer another chance to abandon their cart. The solution? Don’t give them the opportunity! If something isn’t absolutely necessary for the checkout process (like contact and billing information) then it’s best left out altogether. On a similar note, it’s important that you accept that not every customer on your site is going to be a repeat customer. It would be silly then to require each customer to sign up for a site account before they’re allowed to make a purchase, right? Why make them go through the hassle of selecting a username and password (and verifying via email) if they’re never going to come back to your site again? So, it’s best to leave the signup and registration stuff for after the purchase. That way, if someone is interested in creating an account with you, they have the opportunity to do so once the purchase is completed. And if they aren’t interested, they can simply decline and continue about their day. By making registration optional, you allow the customer to not feel so “tied down” to your site. Typically, these non-registered transactions just need an email address to be completed. Even if you do all of the above, there’s still a chance a customer will still leave your site. Maybe they were called away in the middle of the transaction? Maybe they needed to take some time to think about making the purchase more? Whatever the reason, one thing you need to understand is that just because a customer abandons her cart, doesn’t mean she has no intention of completing the transaction. Sometimes, all a customer needs is a reminder that they left their cart with items still in it. The perfect way to do this is to send out an email reminder after a given number of days to let the customer know his cart was abandoned. It’s best to provide customers with options here. He can purchase the items, of course, or he can save the cart for later, or just empty the cart. Adding the “Save” option is really smart because sometimes customers have legitimate reasons for not completing a purchase at a specific time. Another way to lure potential customers back to your site is to offer a discount or coupon in your email reminder. Now, you might want to wait until the second or third reminder email before offering the discount. Why? Because customers might get wise to this tactic and simply “wait you out” to get the discount. As a short-term tactic, this can be very effective at increasing conversions and reducing your cart abandonment problem. It also goes a long way toward showing you value your customers, which is helpful in increasing repeat business. One of the best ways you can reduce cart abandonment is to make your website as easy to use as possible. This means improving the site’s design to offer good user flow and navigation. It means providing plenty of information upfront so visitors don’t feel like you’re hiding anything. It also means using high quality photos of your products. Nothing sells like a photo! Finally, a truly customer-friendly site is one that prioritizes information over the bells and whistles. Trust me on this. A site could look as fancy as all get out but if it lacks the basic principles of good design and doesn’t have a good user flow, potential customers aren’t going to convert. When in doubt, remember this rule of thumb: The fewer clicks it takes for a visitor to complete a purchase, the better. When you run an e-commerce store, you might think that you just need to get customers to add items to their cart and you’re home free. Unfortunately, your job doesn’t stop there. Cart abandonment is a very real issue and while you might have a great track record at getting people to add your best products to their carts, getting them to convert and complete the sale is another thing altogether. To reduce this issue, you can offer shipping discounts or limit the steps required to complete checkout. You can wait to request visitors sign up for a site account until after they make a purchase or you can send out a friendly email reminder. Coupons work, too. And when all else fails, remember to keep your site as simple and as user-friendly as possible. By following these tips, you should see your rate of cart abandonment decrease substantially and your completed sales rise. 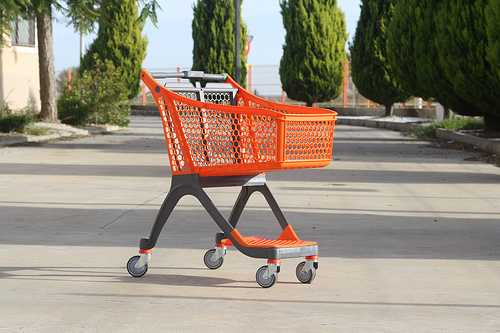 Over to you online store owners – what do you do to limit the rate of cart abandonment on your site? Any of the above tips? Or do you implement another strategy? I’d love to hear all about it! This is an interesting topic that concerns all shop owners – it would have been nice / helpful if the article linked to woo commerce plugins that solve the various problems! I could not agree more with you! This a short but powerful list of tips. 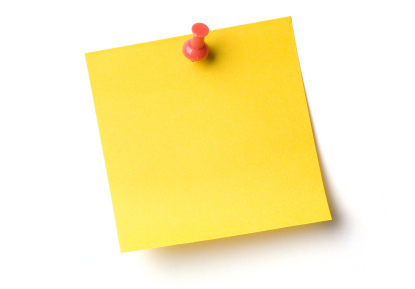 I would love to see a plugin for email reminders! That would defiantly increase sales. We’ll try get a case study up 🙂 In the meantime, you can check out Cart Reports and Follow up emails. I would really love to implement leaving account registration for after the purchase. Do you know of a way to accomplish that with WooCommerce now?